In a previous post, I discuss the different layers of inclusion within a successfully, inclusive school. Inclusion must exist within the community, school, classroom, AND LESSON. 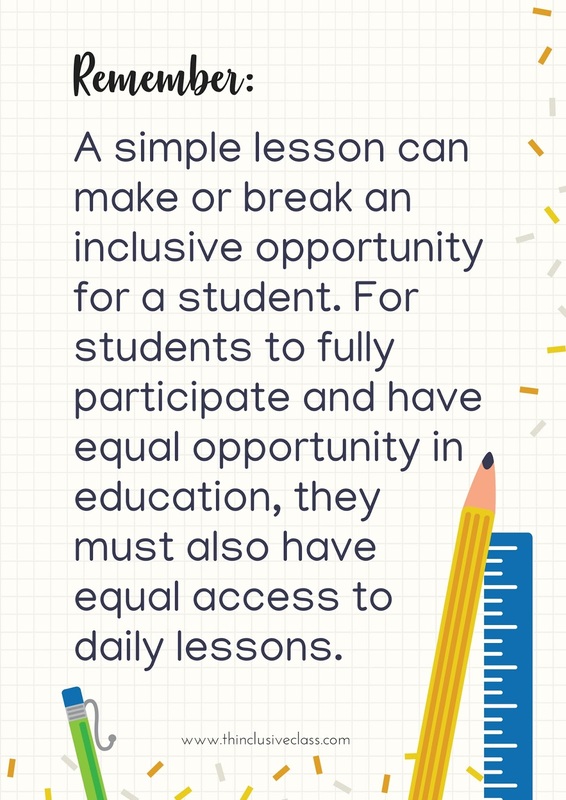 It is inclusion within the class lesson that can truly make or break an inclusive opportunity. 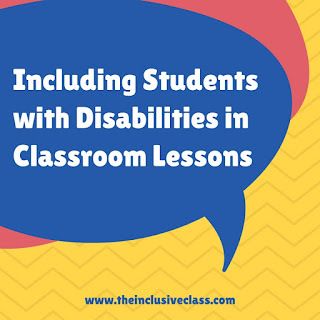 It is not enough for a student with disabilities to be physically present within the general education classroom, without participating in the class lessons. Class lessons bring students together for a shared learning experience. They build community. They faciliate conversation. They are the building blocks for future units of study. 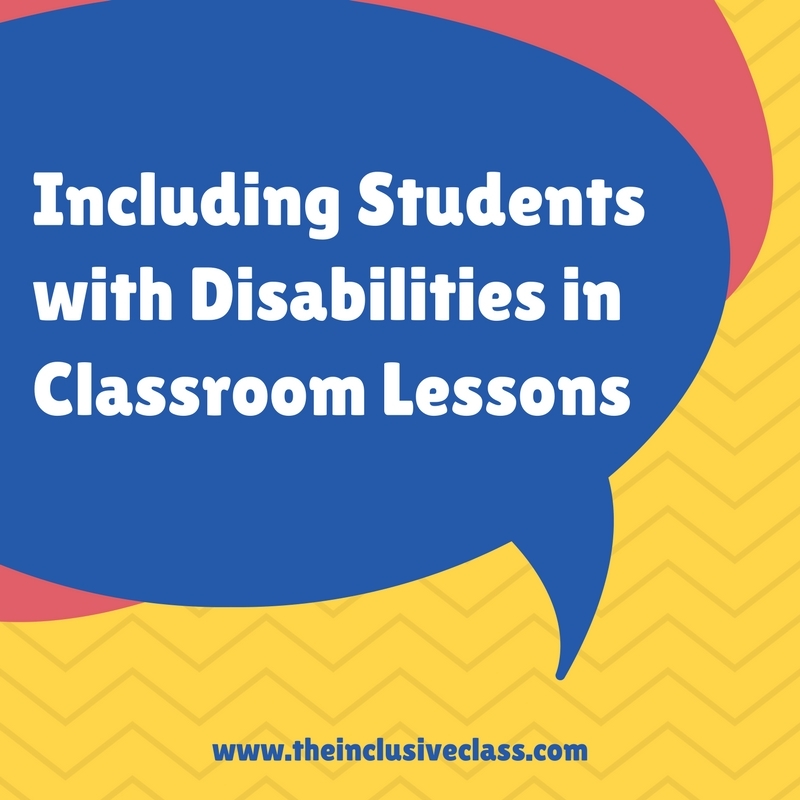 How do teachers facilitate inclusion within a classroom lesson? Well, first they need to know what grade level the student is working at. If the student has an IEP and is on a modified educational program, then the student does NOT need to be working at the same grade level as his or her peers. Once the teacher establishes the grade level of the student's ability in a particular subject area, then the lesson needs to be modified. This means that subsitutions, additions, and deletions are made to the lesson to make it more developmentally appropriate for the student. For example, modifications can be made to simplify the lesson concept, change the learning outcomes, change the instructional method, and/or alter the content. For ideas and strategies to actually make lesson modifications, you can check out Inclusion in Action: Practical Strategies to Modify Your Curriculum. In addition to 40 strategies that will alter and modify lessons for students who work below grade level, it has background information on inclusion, the latest research on the benefits of inclusion, tips for inclusion, and printable templates. In my next post, I will be outlining ways in which teachers can engage students with disabilities during direct instructional time - the part of the lesson when the teacher is lecturing and delivering content. Stay tuned! !